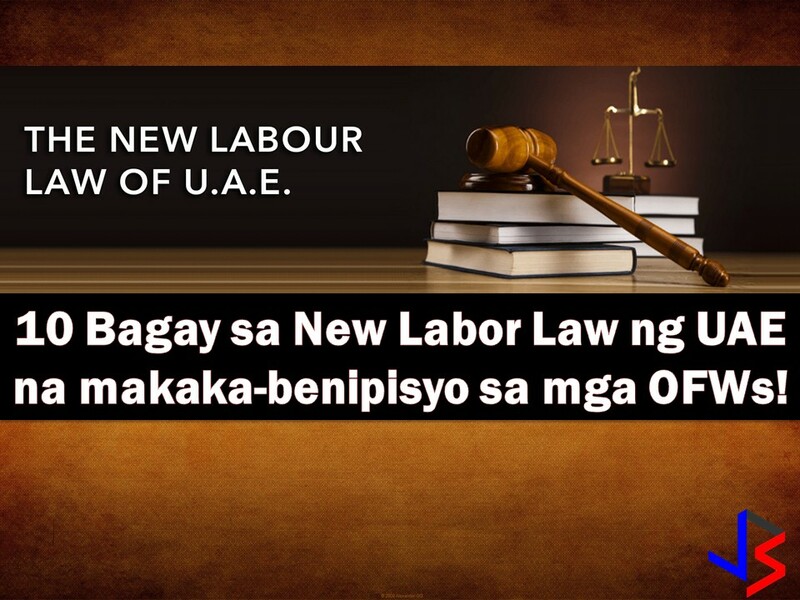 Around 120, 000 Filipino Household workers and the like will benefit the newly signed labor law in the United Arab Emirates (UAE). If strictly implemented and employers will follow, this law covers housemaids, watchmen, and security guards, chauffeurs, domestic laborers, housekeepers, private coaches, private teachers, babysitters, and private nurses, among others. The new law also prohibits the hiring of anyone under 18 years of age and the assignment of tasks not covered under the contract. It will take effect, two months after it is published in Official Gazette of United Arab Emirates.